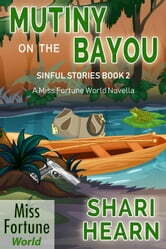 Join Gertie, Fortune and Ida Belle as they try to solve the mystery of The Mutiny on the Bayou (Sinful Stories Book 2). 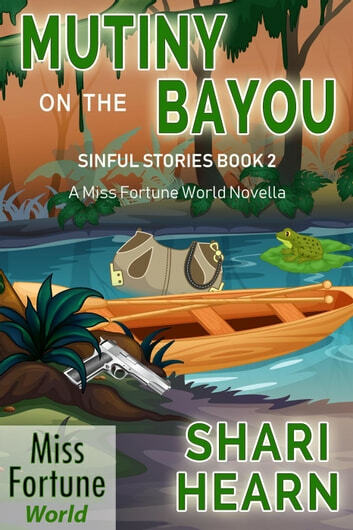 A WORD FROM THE AUTHOR: Mutiny on the Bayou was first published on September 18, 2015 as part of the Miss Fortune Kindle Worlds program (which ended in July of 2018). It is now part of the Miss Fortune World published by J&R Fan Fiction. I wish to thank Ms. DeLeon for graciously allowing other writers to explore their own writing in a most Sinful way. This offshoot from the original miss fortune books is great. I can visualize the antics the people are up to. Truley a laugh out loud book with enough twists and turns to keep me turning pages, and definitely wanting more.